Once divorced, parents need to transition from being spouses to co-parents. This can be an awkward and difficult process. It may feel strange and uncomfortable, but believe me, new interactions that are different and uncomfortable can be better than comfortably familiar but unpleasant and painful. You will need to change how you talk and what you talk about. To make this process easier, I encourage co-parents to aim for polite, respectful, and business-like in their interactions. As business partners, your connection isn’t strongly emotional or personal, yet you are bound together by an important common purpose, the business of raising your children. It’s a business, of course, that you want to be successful. You both want to raise your children to become healthy, well-adjusted, capable adults. To succeed at your common purpose, you need to find ways to interact respectfully, share information necessary to the development of your children, and find creative solutions to problems. Using a business-like model of interacting, you would refrain from getting overly emotional, even if you were having strong feelings. You would save those feelings for later and deal with them privately. You would be calm, reasonable, and prepared before having an important conversation. You wouldn’t micro manage or run to that person with every concern. You would pick your battles. While this style will initially seem awkward, the structure of being more factual and less emotional is helpful. Think about this model before every interaction with your co-parent. Create regular opportunities to share important information about your children. Keep these interactions polite, respectful, and business-like. The more conflict between you and your co-parent, the more structured and planned these meetings need to be. (Thayer & Zimmerman) Remember, your business with the other parent is now just your children, so keep the conversations focused on the children. Resist conversations about your past marriage, your relationship, or either of your personal issues. Never allow your children to be the go-between and carry messages to the other parent for you. Also, remember to keep these adult conversations separate from your children hearing them or taking any part in the conversations. Before any interaction with you co-parent, prepare yourself so that you can give it your best effort! Attend to your feelings beforehand so you can remain calm. Stick to factual information rather than judgments, assumptions, and opinions. Make an outline of the information and issues you would like to discuss in advance. Pick your battles. Are there things you can let go? Are there things you can solve on your own without involving the other parent (e.g., can you re-arrange your schedule, can you purchase a duplicate item for your child to have at your home) as a means of eliminating an issue? Be honest about what you might contribute to the problem or to poor communication: justifying yourself, making assumptions, blaming, manipulation, avoiding issues, resisting responsibility, interrupting, debating, considering your reality the "truth," just to name a few. Check yourself on these points before you begin and while you are talking. Important Note on Logistics: It’s in your child’s interest that they not miss out on social, athletic, school, or extracurricular events because they have two households. It’s also in their interest to have both of their parents watch their events and cheer or praise them for their efforts if both are available to go. In that spirit, both parents should make a point to be on email, phone, or other mail listings to be notified directly by school, coaches, or other clubs about dates, times, and locations of events. Direct access to this information for each parent reduces additional communications between households and reduces the possibility of miscommunications or one parent forgetting to inform the other parent. Take responsibility for getting the information for yourself directly from the source. Schools, teams, and clubs often have email and phone listings and can accommodate more than one contact point for a family. If you’re the primary contact completing information for the organization, use this as an opportunity for goodwill with the other parent. Let the other parent know that you’d be willing to provide the organization with their contact information, with their permission, so that they’ll receive information from the organization directly. There are also many electronic options for sharing information and calendars. The more you are able to automate systems for sharing information, you reduce opportunities for conflict! Be ready to use your best communication skills. Remind yourself that you want to make your best contribution to the parenting relationship because you know that this is best for your children. • Manage the intensity of your feelings. When you feel yourself getting angry or upset, slow down, breathe, remember your common purpose. Remember your children and what they need from you. • Perceptions: Yours and the other parent’s. Each of you has a perspective and neither is the absolute truth; they’re your viewpoints. Golden rule: if you want your perspective respected, be sure to offer the same to the other parent. • Humility. Parenting is the toughest job most of us will ever love. No parent is perfect. 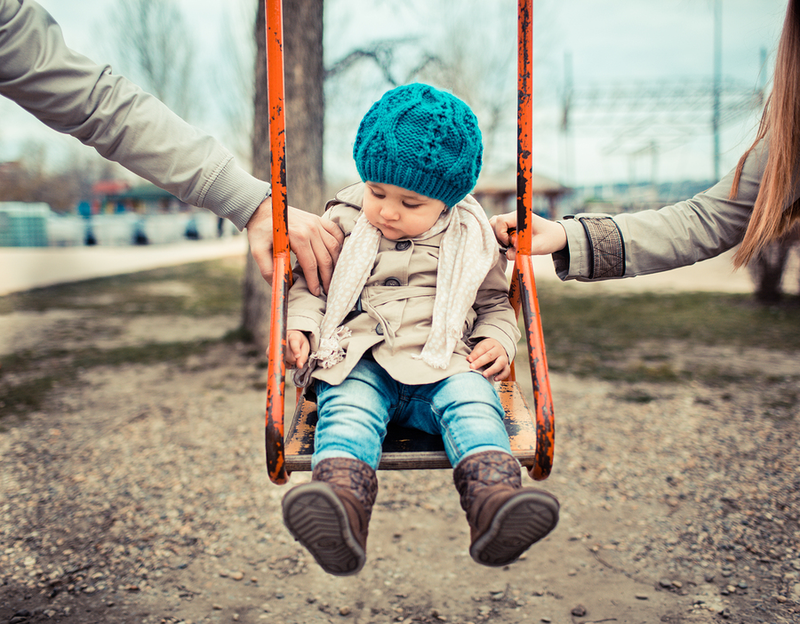 Think twice before making an issue about your co-parent’s parenting. If you feel strongly about the issue and it’s a battle you are willing to pick, consider blame a communication style that will not produce desired results; it’s likely to produce defensiveness and counter-blame. • Consider listening first. Listen to understand the other parent’s point of view. Ask clarifying questions. Summarize what you understood. Understanding the other point of view does not mean you agree with it; it simply means that you’re willing to see both sides of the issue. Listening is critical to lowering defensiveness, building goodwill, and beginning the process of resolving a difference or problem solving. Keep requests to a minimum. Remember to phrase your request as a request, not a demand. When requesting a change, give the other parent as much notice as possible. If notice is short, apologize and acknowledge that may put the other parent in a bind. Consider what you can offer to the other parent that gives them incentive to cooperate with you. 4. Thank the other parent. Use basic rules of politeness such as "please" and "thank you." Apologies also go a long way toward mending and promoting good will. We all want to be acknowledged and appreciated. Appreciate your co-parent’s efforts to cooperate, help you out, and/or honor your requests. Appreciation builds good will and a climate of cooperation. 5. Briefly summarize any agreements or changes. This is just to be sure you both have the same understanding of plans. Consider a follow-up email that summarizes any specific agreements and future plans to reduce misunderstandings or remembering different things. Using these strategies will help you create a new relationship as co-parents, who share the goal of loving and raising your children to be well-adjusted adults. Creating new structures for interacting, using your best communication skills, and having new boundaries about what you discuss will help you make a successful transition from spouses to co-parents. Your children will benefit from your efforts! Lisa Gabardi, Ph.D. is a licensed psychologist with over twenty years of experience helping people with their relationships, marriages, and divorces. Dr. Gabardi maintains a private practice in Beaverton, Oregon providing psychotherapy, mediation, and divorce consultation.